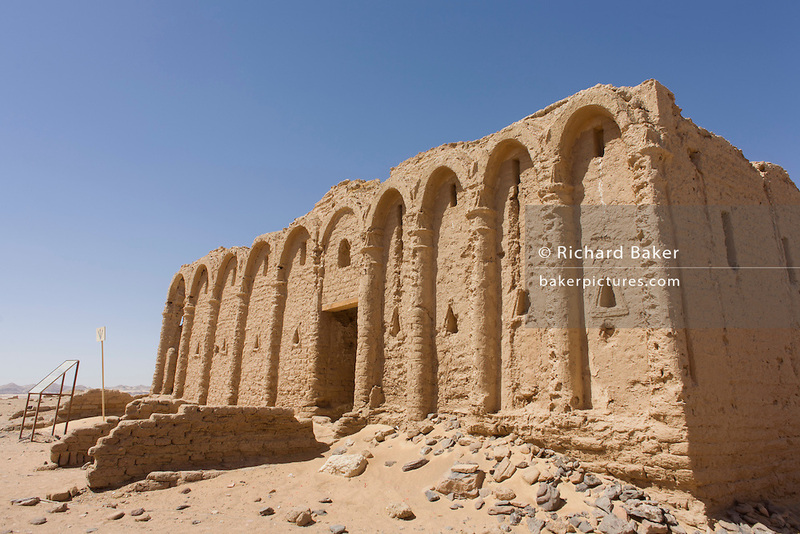 The remains of mud brick Christian tombs at Al-Bagawat Coptic necropolis, al-Kharga, Western Desert, Egypt. Al-Bagawat, (also, El-Bagawat) one of the oldest and best preserved ancient Christian cemeteries in the world, which functioned at the Kharga Oasis in southern-central Egypt from the 3rd to the 7th century AD. Coptic frescoes of the 3rd to the 7th century are found on the walls and there are 263 funerary chapels of which the Chapel of Exodus (5th or 6th century) and Chapel of Peace (of mid 4th century) have frescoes.